The BITS-Apps and Maps summer program maps onto six weeks plus one week of staff training immediately preceding the youths’ arrival. Staff training involves building trainings for working with youth and acting as a mentor, handling conflicts, understanding the specifics of the respective program placement, depending on what program the particular individual would be working with, and fostering group camaraderie an support. The youth arrive on the first Monday in July and work twenty hours a week, Monday through Thursday. Week 1: introductory modules that detail the objectives of each program, then getting to work. Week 2 – 5: field work, Labwork, and. Final Showcase offers an opportunity for the youth to present their work to the greater community as well as family and friends. We also host a series of presentations to the Apps and Maps board members, where the Internship groups present their work in a formal manner. 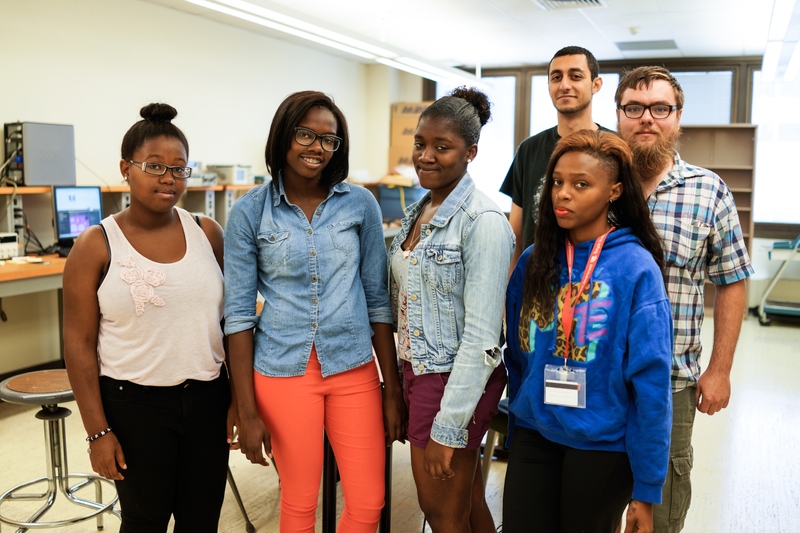 With the BITS program ongoing for the last fifteen years, we have many returning youth each summer; we see a similar pattern continuing with the Apps and Maps program as well, indicating the relevance and success of this learning model. The internship program consists of several projects hosted by the Urban Apps and Maps Studio that will investigate the possibilities of social media to affect change in the urban environment of North Philadelphia. Results of these various projects will be outlines for social media and smartphone applications that would address issues of urban health, urban farming, and related themes grounded in improving the urban spaces and subsequently raise quality of life within North Philadelphia. 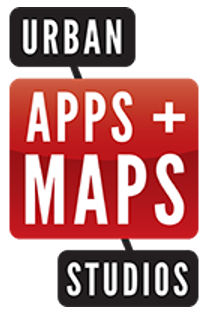 Through the Urban Apps and Maps Studio we educate, train, and support local youth utilizing digital tools including apps, maps and online content. With this training, the participants in the Urban Apps and Maps Studio are on their way to becoming the next generation of leaders due to their hard earned capability to define urban social problems and create the tools to help alleviate them. The larger aim of this educational experience is to create and foster a new generation of neighborhood community leaders in Philadelphia from the youth in the program. These students will be able to use this training on to further involve their family and community members all in an attempt to establish a foundation of basic information technology (IT) literacy skills that will act as pathway for fostering community engagement. Service learning through BITS is designed in such a way to develop “digital communities” through student engagement that focuses on solving urban problems, specifically, around economic opportunity, personal and environmental health, safety, and the arts. The program uses geographic fieldwork techniques of critical observation, investigation, and thick description paired with IT skill-building to identify, research, and propose solutions to these urban problems. In addition to this, general reading and writing comprehension is enhanced through the process, and on-location exploration of places in Philadelphia are utilized as a means of identifying innovative solutions. The seemingly intractable problems concerning urban problem solving are contextualized from an issue affecting the entire city as well as affecting each individual citizen.